Does Archos have designs on making Android smartphones? More importantly, would you buy one? Archos + Android = passable smartphone? Early Thursday afternoon, rumors that Archos was preparing to launch a new Platinum line of tablets surfaced from French site MiniMachines.net. A short time later, Archos formally unveiled three new Android tablets under the Platinum umbrella - the 80, 97, and 116. While it isn't that surprising to see another tablet rumor come true, MiniMachines also reported the French manufacturer was about to enter new territory with a small line of Android smartphones. Though Archos has yet to announce those plans, the confirmation of the earlier rumors gives some credence to the idea that the company is preparing to enter the crowded Android phone space. According to the report, Archos' line-up will consist of the 3.5-inch Archos Carbon 35, the 5.2-inch 52 Titanium, and the 4.8-inch 48 Platinum. Both the Carbon and Titanium are believed to be running Android 4.0: Ice Cream Sandwich, with the Platinum using Jelly Bean. The Carbon is expected to use a 480 x 320 screen, and include 512MB of both RAM and storage for €90 (US$120, UK£77, AUD$115). While the Titanium will feature the biggest screen, it's 800 x 480 resolution is less than the Platinum's 1280 x 800. The 5.2-inch phone will include a 1.2 GHz dual core processor compared to the 4.8-inch's 1.7 GHz Mediatek MT6589 quad-core ARM Cortex-A7 processor. There's no word on a price for the Titanium version just yet, but the Platinum is speculated to cost €249 (US$332, UK£215, AUD$320). Perhaps Archos will debut this line at CeBIT in March, where it plans to show the new Platinum tablets, though there's a chance it could formally announce its intentions before the end of February. Even at more consumer-friendly prices, how well the company can compete with other Android competitors like Samsung, LG, and HTC remains to be seen. That said, there's clearly a strong demand for Android devices on the consumer end, so perhaps there is room for one more at this party. 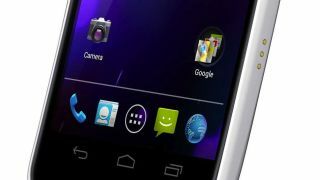 TechRadar asked Archos for more on these new Android phones, and will update this story when we learn more.